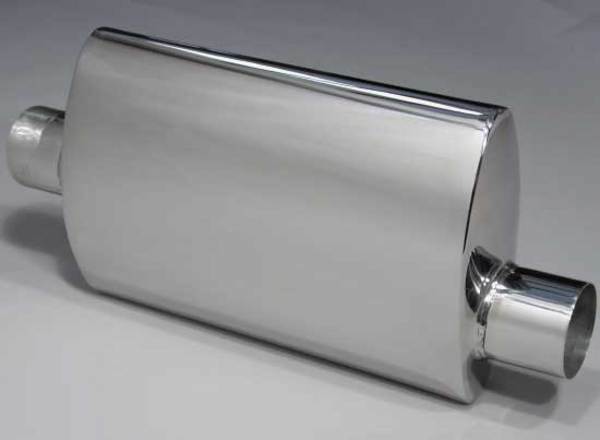 Stainless Steel Turbo Mufflers 14" x 12" Oval Body X 4" OD. Be a good neighbor and reduce engine noise with our carefully selected noise reducing Turbo mufflers. It's the Law!